Dorchelle Spence is Vice President of the Riverfront Development Corporation. She provides strategic direction and oversight of all riverfront initiatives. 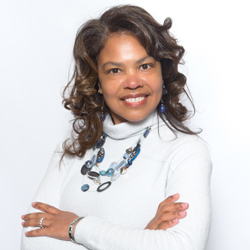 In addition to serving as chief of staff, Dorchelle is responsible for marketing, public relations, advertising, community relations, fund development, programming and government relations. Dorchelle is also a published author. Her novel, No Less Worthy, was released in 2014. In 2013, she was named a Woman of Excellence by The New Tri-State Defender. In 2003, she was recognized as one of the Top 40 Under 40 by The Memphis Business Journal and in 2001, Dorchelle was named one of 50 Women Who Make a Difference by Memphis Woman magazine. Dorchelle earned her MBA from the University of Memphis and is an alumnus of both Leadership Memphis and the New Memphis Institute.